NOTE : This product is for outdoor use only. 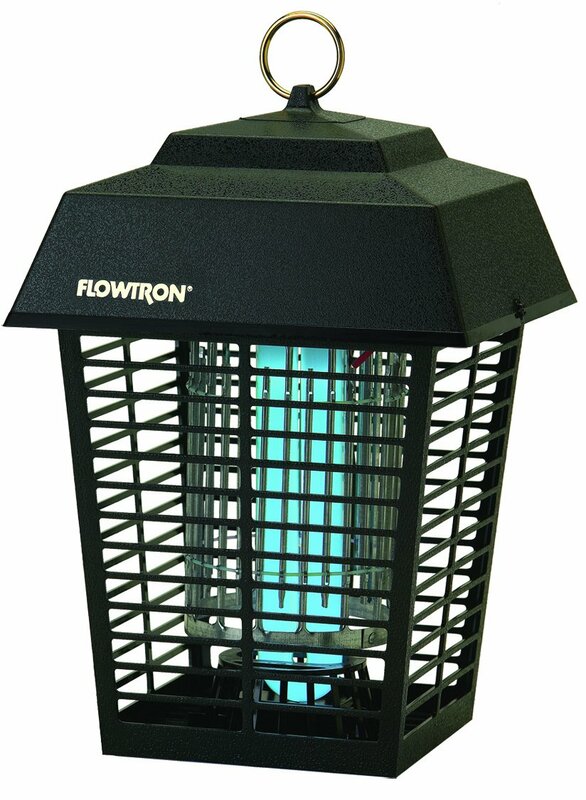 Flowtron's lantern-style insect killer uses nontoxic ultraviolet light to eliminate mosquitoes, biting flies, and other insects over a 1/2-acre area. The insect killer is cleaner and safer than its chemical counterparts, and its patented nonclogging killing grid eliminates the grid clogging that can short-circuit the unit or cause flare-ups of insect remains. The insect killer features high-impact construction and a protective outer enclosure to prevent children, pets, birds, or wildlife from contacting the charged grid.